Kyoto is the ancient capital of Japan, which still remains the historical atmosphere everywhere. Observing the traditional festival in the cozy streets makes it more impressive to feel Japanese culture and history. In autumn, it’s getting less hot than in summer, the best time of the year for visit Japan. 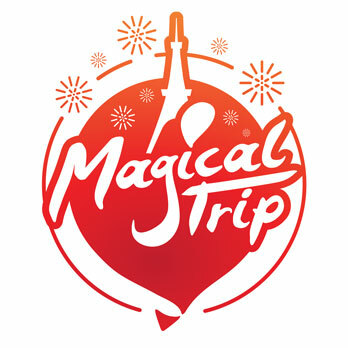 Taking part in must-see festivals held in Kyoto in autumn, enjoy your trip! This is one of the Japanese three major Chokusai Festivals along with the Aoi Festival and the Kasuga Festival. Iwashimizu Hojo-e (ceremony in which animals are released into the wild) has originated in 863 during the reign of Emperor Seiwa as a festival to pray for peace and happiness of all living beings. The style of the festival has been unstable and following many twists and turns, restored to the current form in 1945. 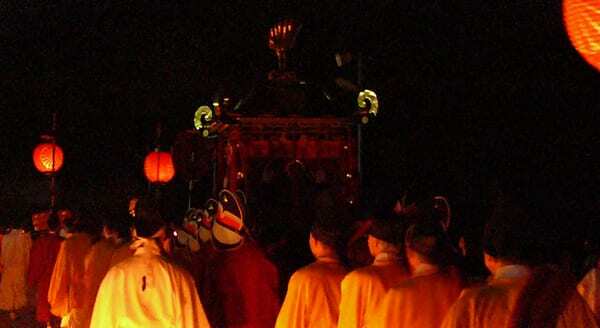 The festival starts at 2:00 a.m. At 3:00 a.m., Go-Horen (imperial carriage) in the shape of portable shrine accompanied by 500 attendants came down from the main hall on the mountain top to the foot of the mountain. The scenery of the parade is so graceful, being admired as “active classics”. At 5:00 a.m. *Hoheisai *(a ceremonial offering to the deity) is performed in the silence, followed by the event of Hojo-e, in which captive fish and birds are released into Hojo-gawa river at 8:00 a.m. The parade is a reenactment of an imperial procession during the Heian dynasty. It’s so dramatic scenery, showing a part of Japanese history. This is the most important ceremony among the 100 more festivals which are held yearly in the Iwashimizu Hachimangu Shrine. It has a good reason to be one of the must-see festivals. August 18th on the lunar calendar is the anniversary of the death of Hideyoshi Toyotomi. It’s converted to the solar calendar on September 18th, when the festival is held at the Toyokuni Shrine. 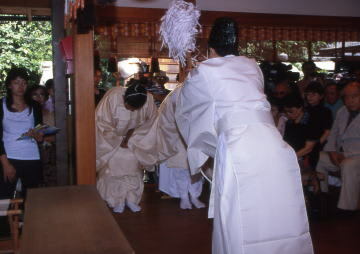 At the festival, the shrine ritual is performed solemnly and Japanese sacred dance and music is offered to the deity in front of the main hall. Although guests without invitation are not allowed to participate in the regular ceremony, it’s permitted to view the dance and music from the front of the offertory box located under the Kara-mon gate, which is designated as a national treasure. 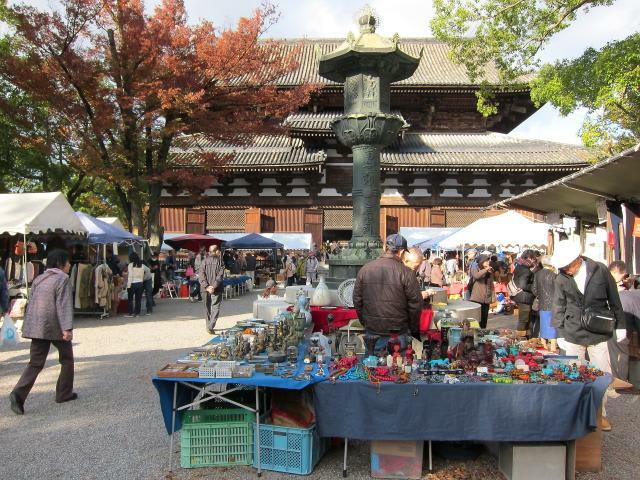 On every 18th of the month, a flea market named “Hokoku-san’s Omoshiro Market” is held within the shrine precinct. It’s alive with various street booths lined up, as it is on the day of the festival as well. On the 19th, Kencha Festival (tea ceremony) is held, performed by* Iemoto*, the head of the* Yabunouchi *school of tea. At the Kencha festival, Koicha (thick tea) and Usucha (thin tea) are each offered to the deity, Hideyoshi and Kita no Mandokoro (legal wife) who has been enshrined at the Sadateru Shrine, by the head of the Yabunouchi school of tea. After the ceremony, green tea will be served to the public at the tea room and drawing room within the shrine precinct. You can experience Japanese tea culture. Why not give it a try? At this festival, the enshrined god is Seimei Abe, who was an astronomer and Onmyoji (Yin Yang sorcerer) in the middle of Heian period. He is well known as the founder of Onmyoudou (way of Yin and Yan), who set a rule for the calendar construction, annual events and divination which are the basis of the current daily life. He has been used for the main character of a manga comic book, which has helped attract people to the festival from all parts of the country nowadays. “Seimei Festival” is the most important ceremony at the Seimei Shrine throughout the year. The festival is held in consecutive 2 days. On the 1st day, Yoimiya festival (eve festival) is performed with the contents of the procession of Mukae Chochin (welcoming lanterns) and the offering of Yudate Kagura (boiling water ritual combined with sacred dance and music). On the 2nd day, Shinko-sai Festival is performed, at which a parade goes through the local residential area. The parade is made up by about 500 people in total, lining up and walking through the town. Shinko-sai means a festival of a divine visit. *Seimei *is thought to descend to the place once a year. With taking part in this cheerful festival, holy spirits may encourage you. Hassaku Festival at Matsuo Taisha Shrine is known as a sign of post-summer letdown milestone in Kyoto. Hassaku means August 1st on the lunar calendar, when chronic seasonal devastation by such as hurricane frequently occurs. Original primary intention of this festival 130 years ago was to pray for the rich harvest and for the safety of the family to remedy the situation. One of the features of this festival is Hassaku Sumo competitions held to dedicate to the shrine on that very day of “Hassaku”. Team-based competitive match by elementary school kids, babies on the arena and so on will provide groovy fever pitch to the audience. 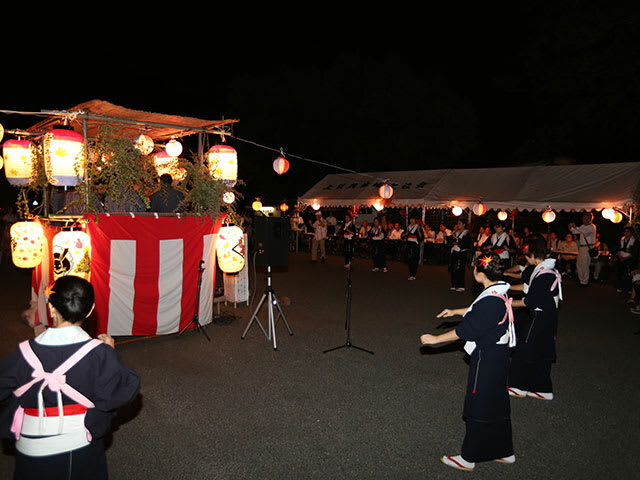 Moreover, other performances such as women’s portable shrine floating in Arashiyama and Taiko drum dedication play to Kamikatsura Mitama spirit will also be demonstrated. Hassaku Festival is the closing remarks of summer in Kyoto. Enjoy another kind of atmosphere while feeling hot breeze gone with the festival. Kamigamo Shrine is the oldest shrine in Kyoto. Enshrined widely here is the god of thunder can get rid of innumerable plagues or disasters from the world, called as Yakuyoke Myojin. Various festivals are held all the year around here. In every autumn, Maple Leaves Dance & Song festival takes place, which bunch of women put on Yukata (informal cotton kimono) with short-length apron and cross-tie dance in unison with traditional folk songs such as named “Momiji no Nishiki”, “Oumi Hakkei” and “Soushi Arai Komachi” at around *Ichi no Trii *(the 1st archway to Shinto shrine) of Kamigamo Shrine. The reason why the festival is named Kamigamo Maple Leaves Dance & Song is because Kamigamo Shrine is famous for its beautiful autumn leaves. Maple Leaves Dance & Song, a.k.a. “Momiji Ondo” is designated as intangible folklore cultural asset of Kyoto City. At the festival, why don’t you catch the touch of autumn before maple leaves peak? Mitakari festival has its origin from 1717. It’s a sumo wrestling ritual dedicated to the deity to appreciate for rich harvest and everlasting for 290 years as of today. The main event of this festival is votive sumo performance. At this event, two sumo wrestlers from the east and the west are supposed to hold two matches and win one, lose one. That means the oath to god to live a good life without fighting and to get along helping each other. After the main ritual of Mitakari festival as above, offering of arena-entering ceremony by Yokozuna (grand champion) boys and dedicated sumo performance follows. You can see a unique custom of dedicatory wrestling matches, at which the sacred sumo wrestler holds Japanese writing paper with purified salt in it with his mouth and purifies four pillars by Japanese sake. Moreover, there are popular events “Kid’s wrestler arena-entering ceremony” by the local elementary students and “Baby’s Sumo Match” by around 1 year baby boys. You can also enjoy a night concert by the shrine parishioners within the shrine precinct at night of the festival. Kurumazaki Shrine is located at Saga, Ukyo-ku in* Kyoto*-city, which is well known for its subsidiary shrine within the main precinct as the shrine of public entertainment. Choyo ceremony, which is held in autumn at this shrine, was revived in 1997 for the first time in 130 years. Originally, it was aimed to celebrate Choyo festival on September 9th, which had been held in such a magnificent manner of syncretism of Shinto with Buddhism until the late Edo period. 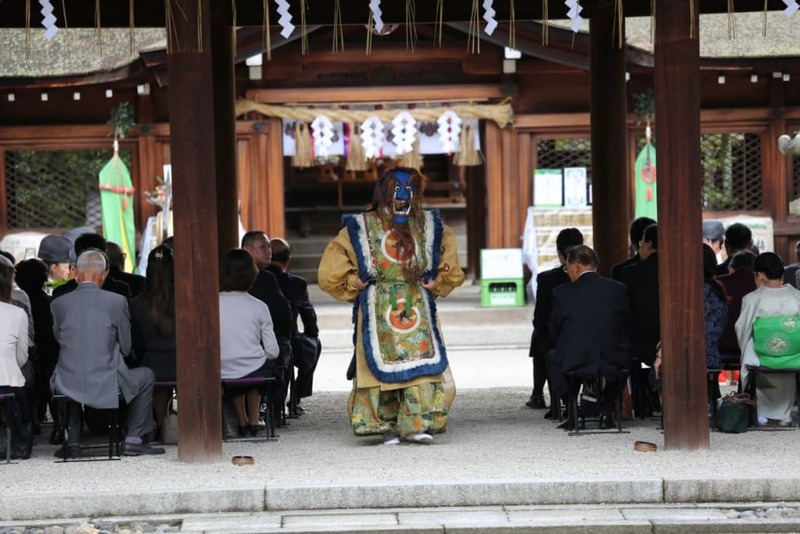 At the former Choyo ceremony held in the* Kurumazaki Shrine during Edo* period, rituals as well as taking turns reading Dai-Hannya-kyo (Great Perfection of Wisdom Sutra) have been allegedly performed. At the revived ceremony, prayer for beauty and health, votive chrysanthemum flowers and Bugaku (sacred dance & music) are offered to the deity. As it’s the Bugaku for Choyo ceremony, you can see the performers putting chrysanthemum flower on their heads while elegant dance performance. Moreover, an applicant of special prayer at the day of ceremony can get an “exceptional charm effective for beauty and health”. A free cup of chrysanthemum sake, which allegedly has divine power to drive disaster, will be offered to visitors after the ceremony. Let’s drink the chrysanthemum sake after the ceremony! Obaku-san Manpuku-ji Temple is a Japanese temple of Zen Buddhism, however, it retains a lot of contemporary Chinese architecture in various parts. The reason why is because this temple is the place of worship for the “Hotei”, regarded as a god originally came from China. 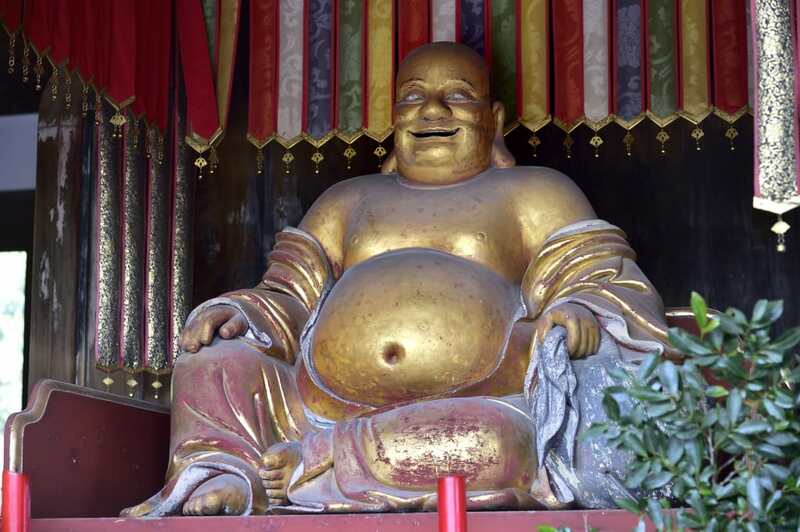 On the 8th of every month, which is the monthly holy day of Hotei-son (image of Hotei) considered as an incarnation of* Miroku Bosatsu* (Bodhisattva Maitreya), “Hotei Festival” is held at the temple to worship. You can make a prayer to Hotei and to join the flea market at this festival. There are various kinds of handmade crafts produced by wide-ranged manufacturer from amateur to professional at the market. Another cultural event associated with the temple is a tea ceremony, Ochaseki, at which you can taste authentic Maccha (green tea) in Japanese way of tea. Japanese tea ceremony has unique steps and you can learn the steps on this occasion! Toji Temple, which is featured by its high-rise 5-story pagoda, has been designated to one of the world heritage sites. In contrast to its quiet and magnificent atmosphere as usual, a lively flea market called “Koubou-ichi” is held on the 21st of each month at the temple. Quite a lot of various clothes and antique pottery – including tableware and flower vase – are on sale at the market. For this reason, the market is called “Nuno-ichi (Clothes Shop)”, “Kottou-ichi (Antique Shop)” or “Koubou-san”, which has been familiarized among local inhabitants for long. You can buy clothes and/or Obi (sashes) for kimono, which seem nice as souvenirs. You can also choose various kinds of potteries such as dish, cup, ceramic bowl, flower vase or else. Otherwise you can get tortoiseshell Kanzashi (ornamental Japanese hair pin) at the craft market booth. Nowadays it’s lively with as many as about 1,200 booths at Koubou-ichi. Check the schedule. It must be fun! Kitano Tenmangu is the founding head shrine of 12,000 Tenmangu and Tenjin Shrines throughout Japan, enshrining the deity of learning “Michizane Sugawara”. During the Edo period, the system of private edicational school “Terakoya” to teach reading, writing and arithmetic had become popular in various places in Japan. People had enshrined the god Tenjin or put up the portrait of Michizane in the schoolroom to pray for academic achievement and advance in martial arts. Based on this background, Michizane Sugawara has been widely known as “the deity of learning” and “the deity of performing arts”. The 25th of every month is this shrine’s Ennichi (the monthly holy day), known as “the day of Tenjin san”. The number of 25th derives from the date of birth of Michizane Sugawara, June 25th, and the date of his demise, February 25th. 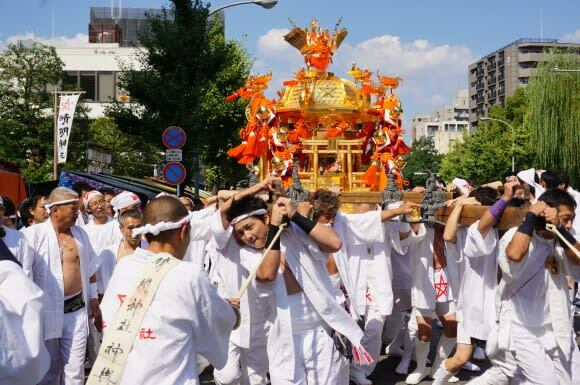 On the day of Ennichi, shrine’s approaches are lined up with various street booths from around 6:00 a.m. until 9:00 p.m. and the shrine precinct will be lit up after dark, which makes it a festival. With 350 stone lanterns and 250 hanging lanterns being lit up, the shrine buildings including Honden, the main hall designated as a national treasure, are illuminated and rise up attractively. It’s a must-see to visit the fantastic shrine at night in the very different atmosphere from that during the daylight hours. Besides shopping, go for visit!